We were facing a challenge with my 5 year old. We knew he was ready to ride a bike, but he just couldn't get the confidence to go to two wheels. Strider Balance Bikes was kind enough to send us one of their bikes to preview and BAM! confidence followed quickly behind! Since we were blessed with so many wonderful sunshine days in February, my son had many opportunities to test it out. Sure enough, it only took about two weeks for the balance concept to click and he was ready for two wheels! The cheers, the smiles, the confidence when he realized he COULD ride two wheels was awesome! He was so thrilled that he could ride himself on our family bike rides. This was our first experience with the Strider ® No-Pedal Balance Bike and I have no doubt that he would still be on training wheels if we hadn't switched to the Strider bike first. The Strider ® No-Pedal Balance Bike is the perfect tool for learning to ride, teaching balance, and instilling riding skills in children! 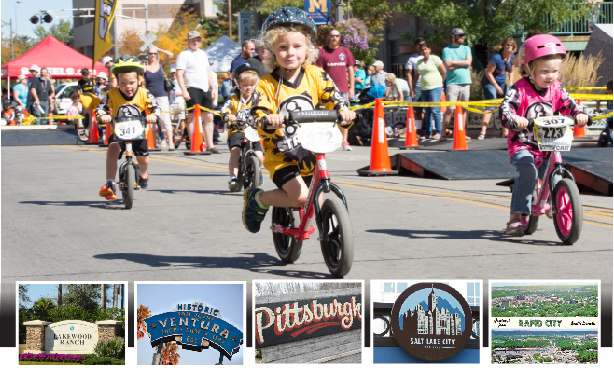 I'm thrilled that Pittsburgh is included in the list of cities who will be hosting a 2017 Strider Cup! 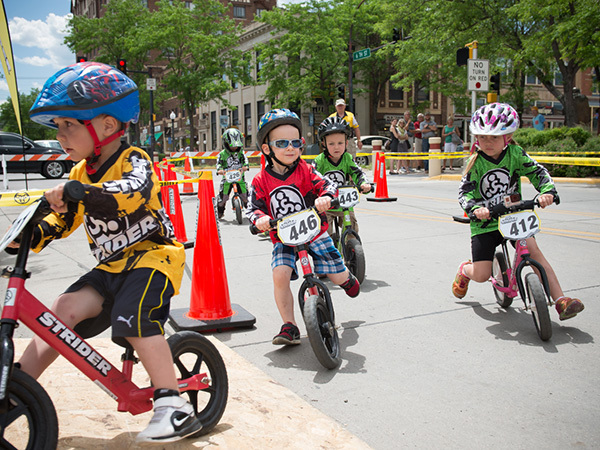 What better way is there for children to show off their Strider bike skills than to participate in the 2017 Strider Cup? 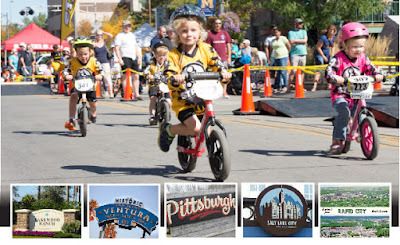 The Strider Cup is a national Strider Bike racing series that will give toddlers and children the opportunity to put their Strider Balance Bike skills to the test at three stops across the country this spring and summer, as well as the final worldwide event next July, the Strider Cup World Championship event. This family-friendly event will be coming to Pittsburgh, PA on Saturday, May 27th at Southside Works. The unique Strider Cup race series caters directly to children between 2 and 5 years old who want to show off their riding skills and compete in a friendly atmosphere against other Strider riders. Children of all sizes and skill levels are welcome to participate. Strider No-Pedal Balance Bikes are developed for both learning the ropes of riding and honing advanced skills in racing. There will be races for 2-, 3-, 4-, and 5-year olds at each event. The registration fee is only $25 and is currently open. Racers will receive a Strider goodie bag valued at more than $50 with their registration, including a Strider Jersey, Number Plate + more! Visit https://www.striderbikes.com/events for further information. For the second year in a row, Strider will also host races for athletes with special needs at each of the events. These athletes will race the 12” balance bike models, as well as Strider’s new, larger 16” and 20” balance bikes, which the company launched in 2014 specifically for the special needs community. Participating in any of the Strider Cup events automatically qualifies the rider for the Strider Cup World Championship. Please visit Strider’s website http://www.striderbikes.com/events for more information. Thanks, Strider Bikes, for the awesome balance bikes you create in helping kids safely + confidently transition to two wheels. The Strider Cup looks like a fun event - can't wait to check it out!